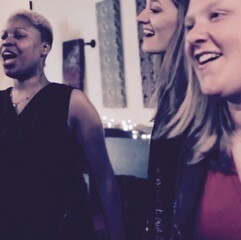 This is a brand new song for Advent 2016 from The Many. We're really excited about this one! So timely in light of all that's going on in the world right now. This beautiful, singable, easily accessible song could work as an anthem, a congregational song, or a solo. It taps into the Advent themes of waiting and longing for God to come, act, and bring about Divine justice. And yet it is also a call to action, love, service, and hope while we wait. Thanks for another GREAT song Gary, Lenora, and Hannah Rand! Music Audio File (.mp3,.ogg,.wav,.m4a) * +$1.99 Your browser does not support the audio element.